1 colour 1 side silk-screen printing or according to customer requirements. OME and your printing designs are welcome. Dance competition clear costume garment bag with pockets. 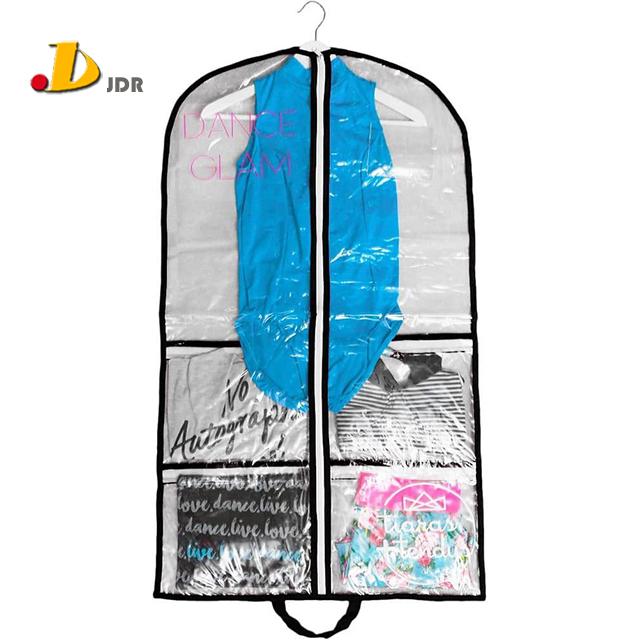 Compete in style with logo printing costume garment bag. Keep everything together and organized with five zipper pockets. One large zipper pocket on the front to hold your costume and four medium sized pockets on the back to keep all your dance accessories. Also featuring a clear name card pocket on the front of the bag and a loop at the bottom of the bag to make carrying your costume easy. The bag is made from thick plastic, double stitched bindings, and reinforced zippers to help make this the most durable dance competition bag on the market today! Payment Term:T/T(30% deposit in advance,70% balance to be paid upon receiving copy of B/L from us),L/c at sight. Contract Manufacturing: OME Service Offered, Design Service Offered, Buyer Label Offered. 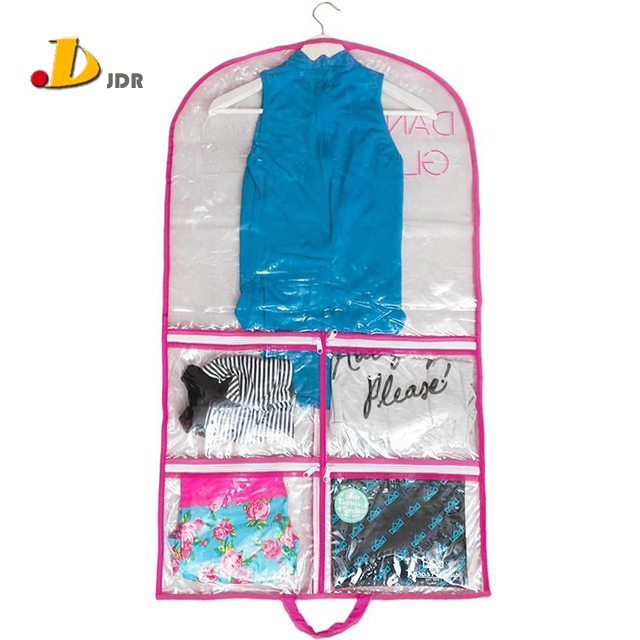 We specialize in producing garment bag,shopping bag, foldable bag, drawstring bag, cooler bag, packing cubes, travel&duffel bag, cosmetic&toiletry bag, etc. Any further information you need, pls send your inquiry to us, we will get back to you in 24 hours. 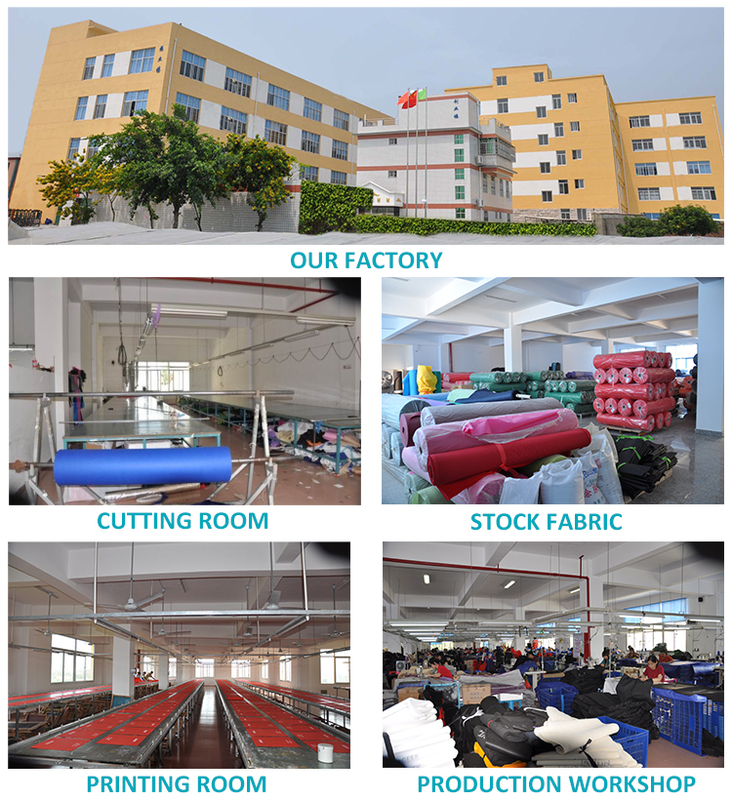 Xiamen JDR Trading Co., Ltd.